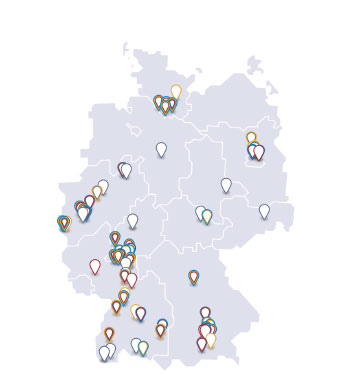 The current Biotech Report on the situation of medical biotechnology in Germany that has been produced for vfa by The Boston Consulting Group is now available. This is the only annually published report that includes all activities in the field of medical biotechnology in Germany, from start-ups to large companies. Apart from the 2017 key economic indicators in medical biotechnology in Germany, this year’s report focuses on the production of biopharmaceuticals as well as their benefit for patients with metabolic disorders. Compared with 2016, sales of biopharmaceuticals (pharmacy and hospital market) increased by 10.3% to €10.2 billion. Its share of sales within the entire pharmaceutical market rose from around 25% to 26%. Growth was recorded in virtually all fields of application but in particular with regard to cancer drugs and medicines for immunological (e.g. rheumatic) illnesses. In 2017 alone, 23 biopharmaceuticals were newly licensed (51% of all newly licensed medicines) –the most ever. This reflects the increasing importance of biopharmaceutical medicines for patient care. The pipeline continues to be well stocked: Within one year, the number of biopharmaceutical products in clinical development rose slightly from 636 to 639; in the meantime, biosimilars constitute around 25% of the biopharmaceutical phase-III pipeline. In 2017, 383 companies worked in medical biotechnology in Germany. 118 of these have already been marketing biopharmaceuticals and/or own their own innovative product pipeline while the remaining 265 have, through technology platforms, been contributing to the drug development without creating active ingredients of their own. The medical biotechnology companies continued to employ more staff whose number increased significantly by 6.6% to 47,000 – another new record. This is a labor-intensive, time-consuming and costly process but one that facilitates, in particular, the production of new proteins that do not occur naturally. Currently, 60% of all biopharmaceuticals are produced in mammalian cell cultures of which 78% are made using hamster cells (decade-long multiplication). While Germany occupies first place worldwide when it comes to the number of agents produced, it is number 3 after the US and South Korea concerning capacities for large cell culture containers (fermenters, bioreactors). This is due to the fact that Germany is not sufficiently competitive with regard to the general fiscal conditions for investments in installations. These are illnesses that are based on abnormal substance distribution and conversion processes in the body. Several are very widespread diseases such as diabetes, hypercholesterinemia, osteoporosis and gout. Many others are less frequent such as the lysosomal storage disorders. Overall, 51 biopharmaceuticals were licensed by the end of 2017 with the emphasis being on diabetes (27 licenses) and lysosomal storage disorders (11 licenses). Application aids (devices) are increasingly developed alongside the new biopharmaceutical drugs to enable patients to administer the drug with ease. 27 of the 51 licensed biopharmaceuticals against metabolic disorders are, for example, sold in a pen. In order to successfully continue to develop, produce and provide patients with new biopharmaceuticals in Germany, the country requires a stable and reassuring outer framework. This includes in particular the creation of innovation-friendly general conditions, an adequate evaluation and appreciation of biopharmaceuticals and an improvement of patient care. In view of these points, and if all parties involved in the health care sector join forces to ensure their implementation, it is possible to maintain the cycle of innovation – for the benefit of the patients, society as a whole and Germany as a country open for business. The Biotech Report 2018 by vfa bio and The Boston Consulting Group can be downloaded free of charge as a PDF file or be ordered as a printed leaflet.